“MAIN STORY”, the voice boomed within my skull. “FASTER”, the voice growled menacingly. “COMPROMISE”, the voice muttered as it released me from its grasp. Taking a deep gulp of air, mopping up the flop sweat across my brow and emptying the contents of my well-worn sacrificial bowl (I assume, by the by, that this how every writer communicates with their editor?) 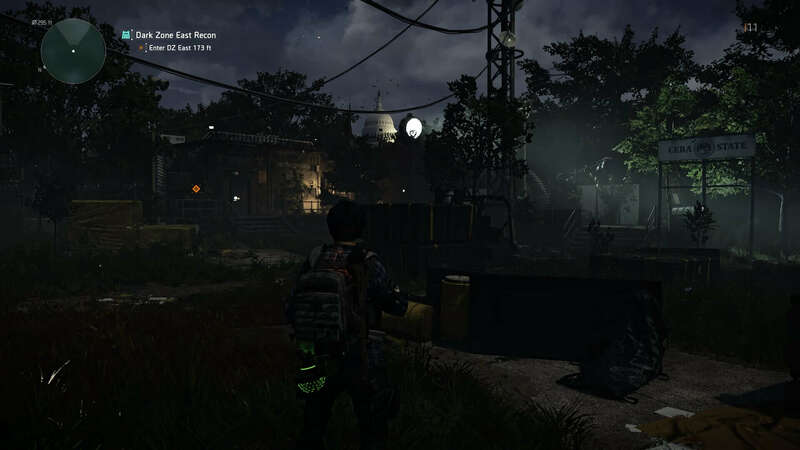 — let’s go over just what is happening with our review of The Division 2. We at Jump Dash Roll don’t really do this sort of thing. We prefer a full and detailed piece for our readers to get a full impression of a game but, put succinctly, The Division 2 is a hefty affair straight out of the gate. Developers Massive Entertainment and Ubisoft have clearly learnt from their own errors in The Division and no doubt seeing how other open world multiplayer games have fallen over the last couple of years.The vast array of missions, side quests, exploration opportunities and open world activities has meant that even with a thorough grind totaling just shy of thirty hours, I am perhaps barely two-thirds of the way through the main campaign. With endgame strongholds and the Dark Zone still yet on the horizon many, many hours away, what follows is my impressions of the game as I have gone along. A fully updated and completed review will follow once the endgame has been fully engaged. That being said, if you want reviews to be on prompt after release, then perhaps we should talk about the fact The Division 2 had a day one patch of 90GB. This isn't an issue unique to The Division 2, but the roaring majority of AAA games these days. What's the point of a day one release when there is a real chance that you're simply going to be unable to play it for a day or two while patches like this are considered par for the course? ‍There’s a real sense of time past throughout Washington D.C. So I didn’t even really get to start the game until the tail end of the weekend after release, and given the swathe of open world disappointments we have had to endure of late, I was honestly expecting another slew of patches during the first days of playing. But this mighty update had actually done what it said on the tin — The Division 2 has been consistently stable, packed full of content and has a loot system that has been both delicious and generous. It feels odd to applaud the developers and publishers for doing basically what used to be standard fare ‘back in the day’, but it is refreshing to sit down after a monster patch and just crack on with the game with nary a worry or concern. 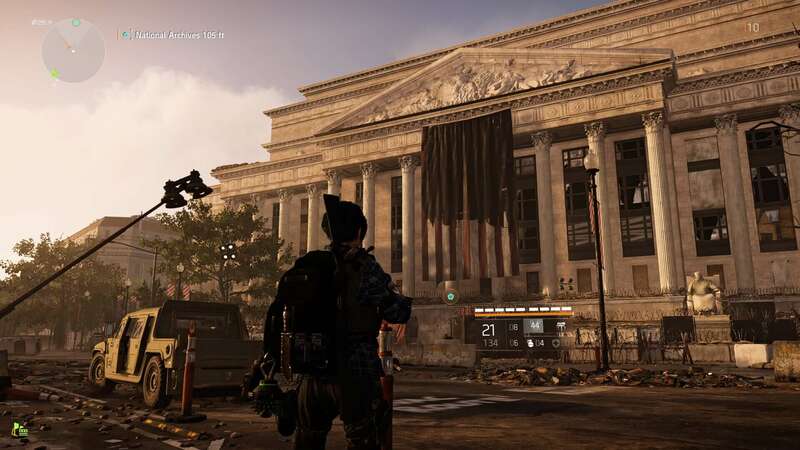 The Division 2 takes place in Washington D.C., seven months after the events of its predecessor. You are, once again, a Division agent activated to safeguard America as it falls into ruin due to the outbreak of the Green Poison — a deadly virus that wipes out 95% of the population. This time you are called to the capital city due to the SHD network (the computer systems that aids you in being an utter badass) shutting down and cutting off communications across the country between all agents of the Division. Once you respond to the distress call from the city, you are tasked with cleaning up all the vicious factions that have taken hold and helping any and all civilians you can find and support. Whether that be in rebuilding settlements, scavenging for supplies or hunting down enemy leaders — you have an enormous variety of activities (both as part of the open world and scripted) to keep you busy. Thing is, this basic bit of explanation essentially is the story that’s given to you. Gone are the quick-fire, stylish, small cutscenes and there’s a severe lack of memorable NPCs littering the White House (your main base of operations, naturally), so it’s quite hard to engage the world as a player — whether you’re new to the series or not. ‍The main campaign drops you a taster mission within the Dark Zone to whet your appetite. 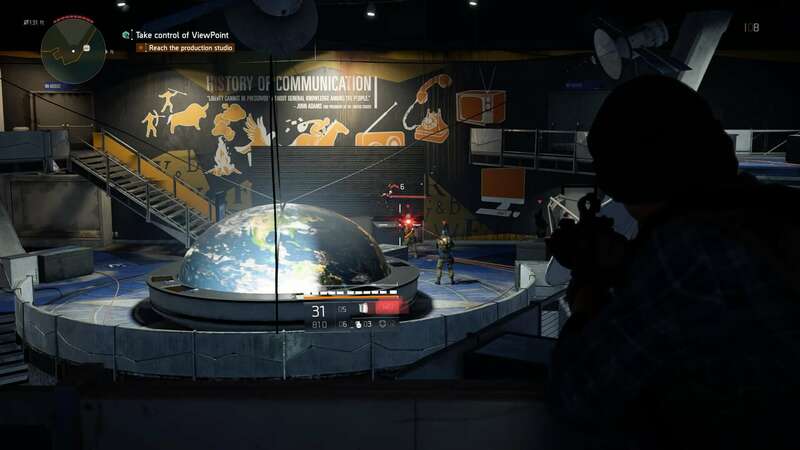 Unfortunately, The Division 2 also treads dangerously close to generic territory when it comes to environment and world building. The original Division was set almost immediately after the outbreak at the height of winter in New York. This gave the game an incredible atmosphere whereby the weather underlined just how bleak everything had become with humanity dying off. At the same time, because everything was fresh in the population’s memory there was a real sense of a last stand throughout the game. Now, of course, the world does not exist in perpetual winter — but Washington D.C, despite being accurately realised, unfortunately looks like just about any other post-apocalyptic city landscape, complete with casual t-shirt and jean clad, gun-toting, civilians dotted around the area (it positively smacks of The Walking Dead in terms of aesthetic). I know time marches on, and seasons change, and this post-apocalyptic look is just the world moving on, but due to the aforementioned lack of exposition, the sudden change in atmosphere just doesn’t feel earned. I’m aware that for many people, this is a ‘non-thing’, but the danger of the world itself seems strangely absent this time around. Of course, as much as I may shout on my soapbox to the contrary, this is essentially window dressing for many players. What really matters is if the gameplay and mechanics are as punchy and slick as the last time, and in that I can happily confirm that they are, with a whole heap more polish. Combat in The Division franchise can be best described as ‘methodical’. Being a cover shooter, it revels in adrenaline raising set pieces, but Massive Entertainment use this mechanic to encourage you to remember that running and gunning through streets and alleyways is a sure fire way to get yourself plastered with fire and bullets. If you’re out of cover when the gunfire starts, you will die, so you’ve got to tread carefully and be equipped accordingly — and take your damn time when traversing the city! ‍When the stars align, Washington D.C. has a Jurassic Park: Lost World aesthetic which really does do the world justice. You’ve got a brace of snazzy tech to help you lay waste to enemy gangs and support fellow agents, dependant on how spend your points on the tech trees of your gear. As you progress through the game you do unlock just about every option, so you’re never locked into one pathway that you end up not enjoying. Initially I started with the firefly drone, attaching grenades to enemies, and a combat shield — but it wasn’t much fun to use when playing solo. I’ve changed it up for a sniper turret and healing drone, which suits my style of playing. I’m sure this will chop and change depending on the situation I’m in, and who I’m playing with. 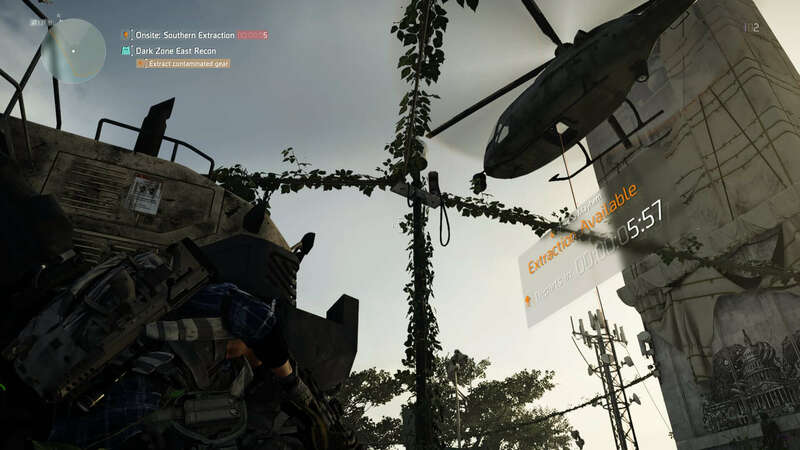 The Division 2, on skills alone, allows for plenty of customization. And that’s not even taking into account the staggering amount of loot and gear options that you’re going to come across in Washington D.C. Whether picking up gear from enemies or rooting around dilapidated buildings, you’re never more than a few moments away from having something new to consider for your agent. It’s not the slightest bit overwhelming, either, with clear comparison screens and stats for you to consider whether or not to break down loot into parts to craft higher tier gear, or sell it for cold hard cash. I’m beginning to get specialist weapons now as I level up, and I know there are even more options ahead of me as I traverse the Dark Zone — so it’s an exciting prospect knowing that despite the grind, really I’m just getting started. ‍ECHOs are an excellent storytelling device, but are sorely underused this time around. 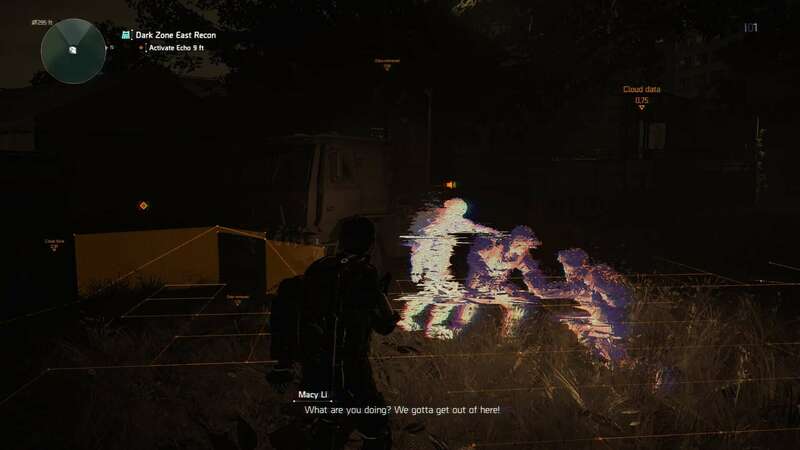 Despite the fact that it can be played solo, The Division 2 is designed to be a multiplayer experience. In other open world games (Destiny in particular coming to mind) you are automatically joined by other players when playing larger, or more important, missions. Not so here, with all matchmaking entirely voluntary — meaning if you want to do every mission solo, you are more than welcome to. I’m not the biggest fan of playing with random people, so while I did occasionally answer a distress signal to aid another player (a slick little system where you join another game temporarily when the call comes in with a click of a button), I generally did stick to myself. It wasn’t until a friend started actively playing and joined my game did I realise just how slow the game is when playing alone. My progress accelerated significantly once I started working as part of a team, and not only that, but The Division 2 became a lot more exciting. That’s not to say it wasn’t when playing solo, but it just became a different animal. Alone your playstyle has to be more covert and cautious as the enemy AI is smart enough to always try and flank you (and this game will cut you down should you leave your backside exposed), but side by side, you can be much more aggressive. You’re also given more license to specialise more as your team begin to fill in certain niches; a combat medic, artillery sniper, CQC specialist and so on. 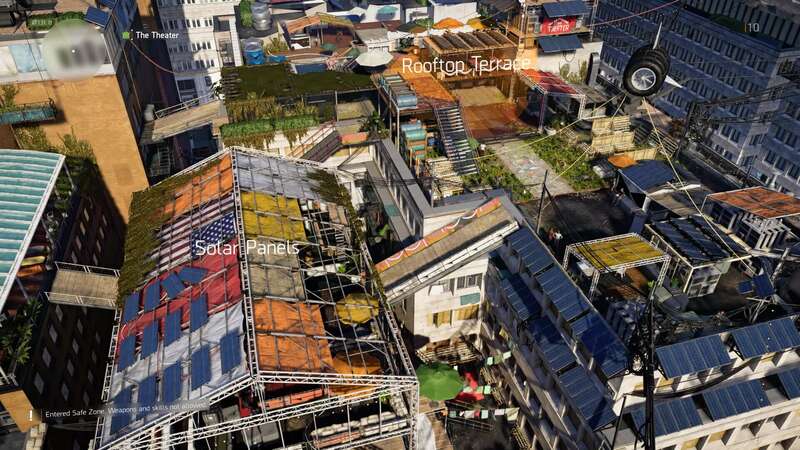 By working as part of a team, The Division 2 grants you a mighty glut of options for you to achieve any build that takes your fancy. So for now, that’s the broad overview of The Division 2. It’s got its hooks in me for sure, and I’m incredibly eager to see what surprises are around the corner, despite what I feel are some disappointments in terms of setting and aesthetic design choices. Be sure to check out our final review once all endgame content has been reached.